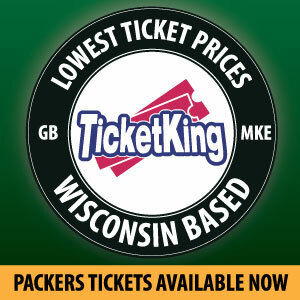 Few teams keep as many undrafted free agents on their roster as the Green Bay Packers. The Packers have had at least 3 rookie undrafted free agents on their opening day roster the past 4 years. 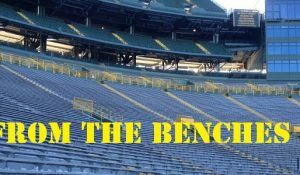 With the Packers signing 2 free agents this offseason and adding 9 players in the draft, it is difficult to imagine them being able to find another 3 roster spots for undrafted rookies this year, but it is likely that at least one or two will make the Packers final roster, and others may get stashed on the practice squad to start the year. Here are some of the players I will be watching closest during preseason and training camp. At 6’, 227 pounds, Doughty will need to bulk up a bit to play inside in the Packers’ 3-4 scheme, but he was a tackling machine for the Aggies, recording 148 tackles last season, his second consecutive season with over 100 tackles, he also added 13 tackles for a loss. Doughty has excellent speed for a linebacker, his 4.57 40 time at his pro day was faster than any inside linebacker at the combine, and it would have placed him 3rd among outside linebackers. With the Packers choosing not to add another inside linebacker in the draft, look for Doughty to get plenty of opportunity to show what he can do during the preseason. The highest ranked player to sign with the Packers after the draft, at least according to nfldraftscout.com, Hubbard was the 16th ranked outside linebacker in the draft. 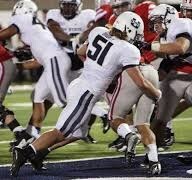 At 6’6” with 34.5” arms, Hubbard has ideal size and length for an outside linebacker in a 3-4 defense. Hubbard wasn’t overly productive at Alabama, and he will need to add some more pass rush moves to his repertoire to succeed in the NFL, but he has all the physical tools to play at the next level, and possibly earn a roster spot with the Packers. Pennel played 2 years at Scottsdale Community College before transferring to Arizona State. Pennel only played in 5 games at Arizona State due to multiple suspensions, before transferring to Colorado State-Pueblo. The suspensions at Arizona State are obvious red flags, but if the 6’4”, 332 pound tackle can show he has matured, he could earn a spot on the practice squad, and eventually the 53 man roster, as a 2 down run stuffer. The Packers have had more success finding offensive linemen through undrafted free agency than almost any other position. Evan Dietrich-Smith, Don Barclay, Nick McDonald, Greg Van Roten, and Lane Taylor all went undrafted, but were able to find homes with the Packers, at least for a season or two, and Fullington could be the next undrafted success story. Fullington started 43 games over his career at Washington State, and has experience at both tackle and guard spots. He would probably be best suited to play guard in the NFL, but playing right tackle wouldn’t be out of the realm of possibility. Lyerla is the biggest name on the Packers list of undrafted signees. Unfortunately, he is known as much for his off-field incidents as his play on it. Lyerla left Oregon in October and was later arrested on drug possession charges. 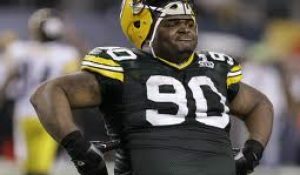 The character concerns surrounding Lyerla were so great that he wasn’t even offered a contract as an undrafted free agent, and was brought in as a tryout player by the Packers. Quite a fall for a player, who going into the 2013 season, was considered one of the top draft prospects at his position. Putting the off-field issues aside, Lyerla’s talent and athleticism are undeniable. His 4.61 40 time at the combine was the 3rd fastest among tight ends, and his 39″ verticle leap was tops at the position. 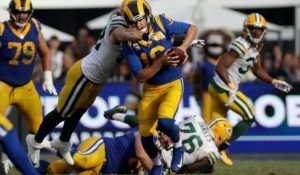 If he can show that he has worked through his personal issues, Green Bay may be the ideal place for him to display his talents, since there is no clear cut starter on the roster. This entry was posted in Packers 2014 - 2015 Season and tagged Adrian Hubbard, Jake Doughty, John Fullington, Mike Pennel. Bookmark the permalink. Great Balls! I like all five of these players, and would be willing to bet that four of them either make the 53-man opening day roster or are offered a position on the practice squad. Excellent brief article.